Unexpected Media's founder spoke to Channel 4 for an in-depth study of the network's multiplatform commissioning strategy. Essential! 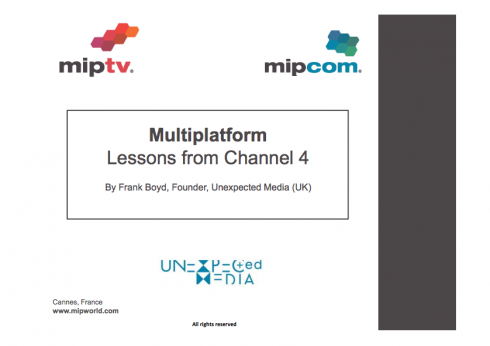 MIPBlog is proud to offer you an in-depth and exclusive study of Channel 4’s Multiplatform publishing strategy. Featuring C4’s head of online Richard Davidson-Houston and commissioning editor Kate Quilton, it includes all you need to know about new commissioning models, based on a number of inspiring case studies. You’ll find the white paper embedded below (email required to read it in full).